U23 World Championships in Lahti, Finland got rolling on Jan. 21 with a classic sprint. In our quest to check in with some of the North American athletes in Finland, with emailed a list of quick-hit questions to touch base. Braden Becker is twenty two years old and a senior at Williams College. 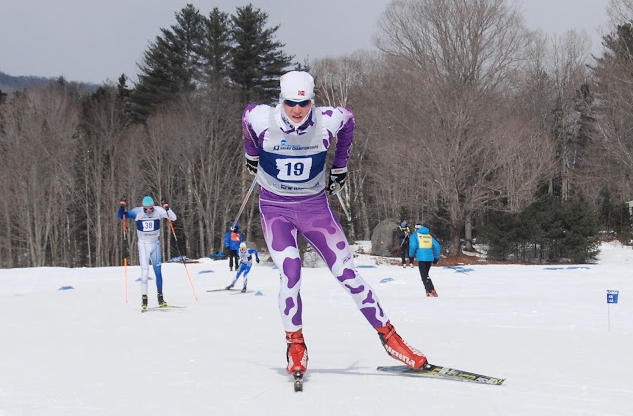 He races with the Williams cross-country ski team and hails from Yarmouth, ME. This is his first Junior World Ski Championships. Do you recall when you first set World Juniors/U23’s as a cross-country skiing goal? Representing the USA has been a goal of mine since I started skiing seriously in high school. Stress can be tough to deal with as a junior. That said, how do you best deal with stress? For me the best tool to reduce stress is perspective. Small things like missing a session because of travel/ sickness or having to stay up all night to finish a paper can feel devastating. The key for me is to always put whatever happens in the context of an entire training year. How do you best distract yourself from racing? Being in college has made this easy as there’s always homework to chip away at. What are some “performance goals” going into the races you are focusing on? Ski competitive early splits and try to hang on. Who best supports you when a race doesn’t go the way you envisioned? The great part about skiing in the EISA is that on any given day one of your friends or teammates always has an amazing day. It’s easy when you have a bad race to just forget about it and celebrate your friend’s successes. Who is the first person you call/text/email…etc. when the race goes well? Probably my family and teammates. Outside of skiing, what would you rather be doing? Napping. What are some outcomes from your first Junior Worlds that you would consider a success? Seeing the level of speed and intensity of competition firsthand. Favorite method of recovery when you are racing on the road?Napping.